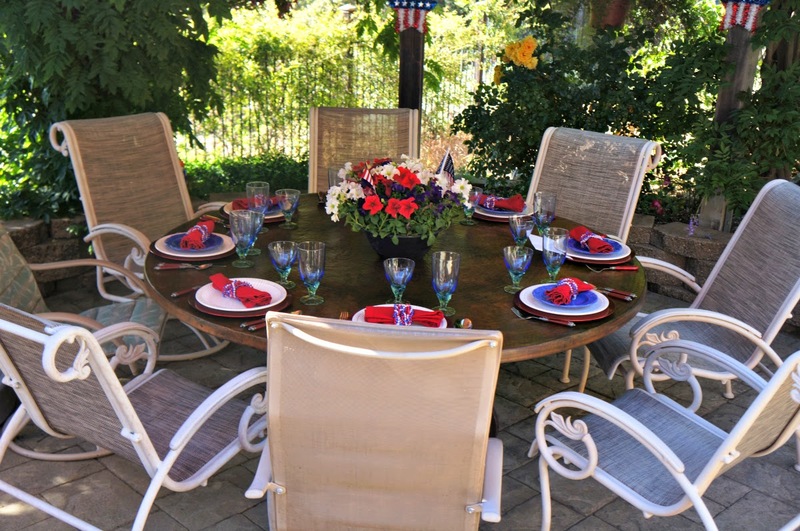 We celebrated Memorial Day by inviting our neighbors over for a dinner party. We salute and honor the men and women who have given their lives for our country. 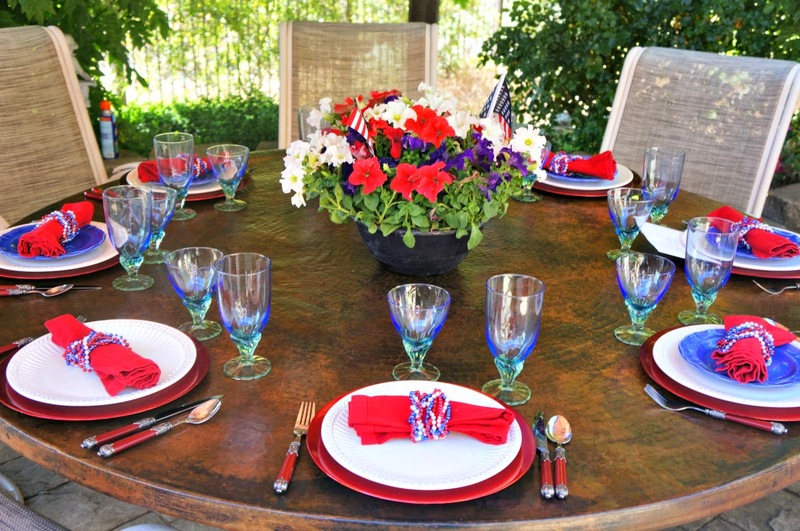 A Patriotic theme was used in this tablescape to show our love for our country. 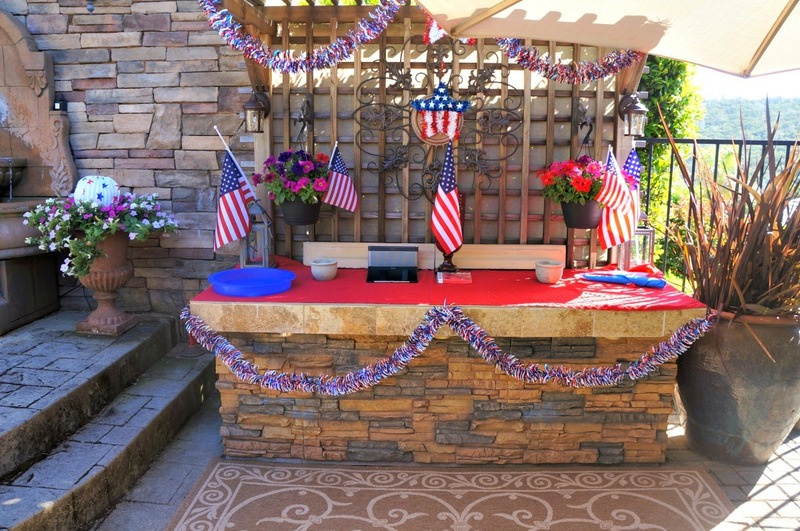 My husband and I decorated the space with flags, stars, hats and color coordinated flowers. The dollar store is so inexpensive and handy for decorations. 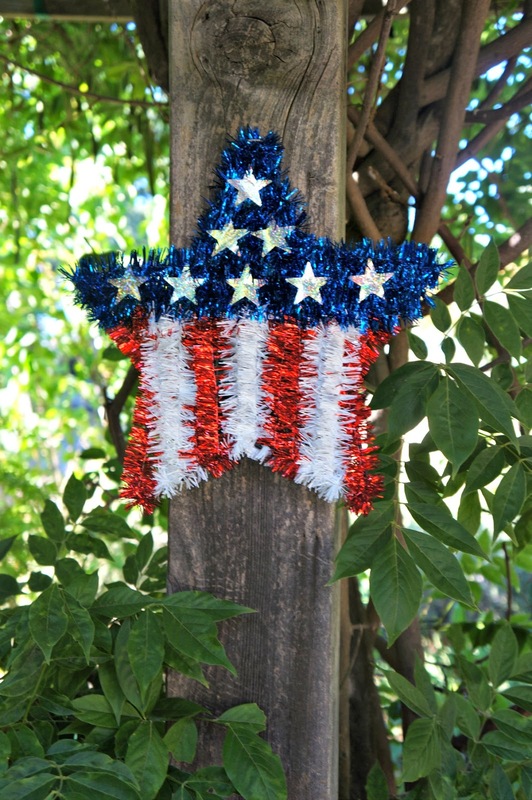 We found the patriotic stars, hats and garland there, along with the lights and flags. The menu was Philly cheesesteak, potato salad, baked beans and 3 berry trifle. One of our neighbors made some wonderful baked beans. I didn't get a chance to take pictures of most of the food, especially on the buffet island. I love this recipe...it is so yummy and easy. I took Martha Stewart's Cranberry Trifle recipe and tweaked it. I used 3 different berries, blackberries, raspberries and blueberries in lieu of the cranberries. I omitted the ginger and brown sugar. I get so many compliments on this dessert. You can buy the 3 berry mix at Costco. 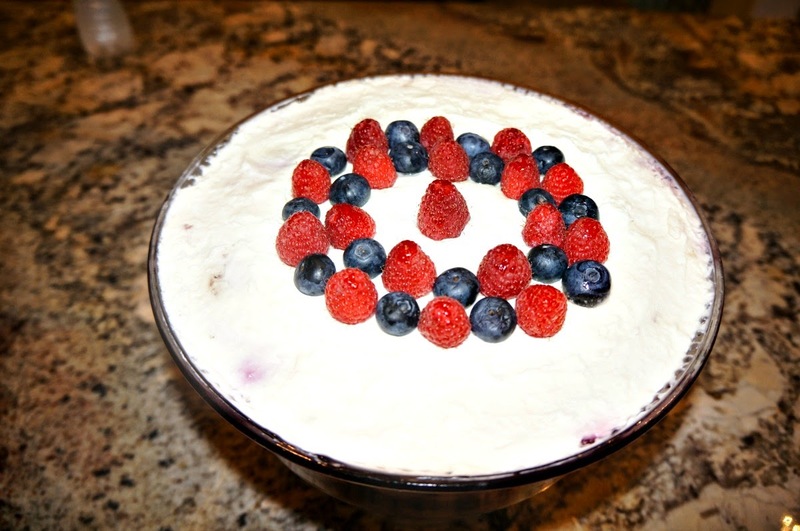 In a medium saucepan, combine berries, 2 cups granulated sugar, ginger, and 2 cups water. Bring to a simmer over medium; cook about 8 to 10 minutes. Let compote cool completely. Make cream filling: Using an electric mixer, beat cream cheese, remaining 1/4 cup granulated sugar, and vanilla on high until well combined. With mixer on medium, gradually add heavy cream; continue beating until soft peaks form. Arrange 1/3 of cake in a 3-quart serving dish. Spoon 1/3 of compote over cake; spread to sides of dish. Dollop 1/3 of cream filling over compote; spread to sides of dish. Repeat twice, ending with cream filling. Cover; refrigerate at least 2 hours (or up to 1 day). Garnish with fresh berries. Martha Stewart's cranberry version is here. 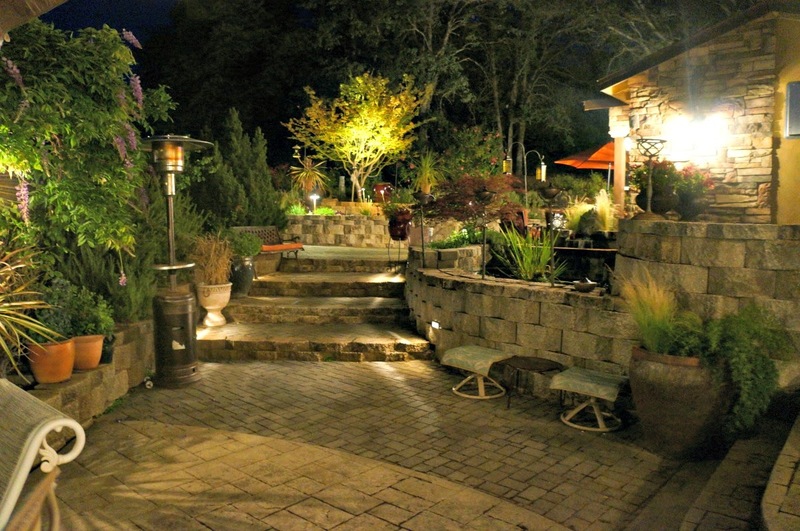 Here's some evening shots of our patios. French doors into our Breakfast room. Hi Linda! First of all I'm wiping off the drool all over my puter from looking at your most most gorgeous outdoor space! How wonderful it is and that fountain! Now, I'm sure your neighbors felt so special coming over to your lovely home and seeing all you and your hubby did for them. The menu sounds so good too and thank you for the recipe! I'm going to make this. What a nice tribute table you set up. Everything looks wonderful. I've never made potato salad like that- sounds interesting and the dessert looks yummy :-) Your yard is so inviting- like a bit of Tuscany. Linda, what a gorgeous setting; and I am sure your neighbors had a most enjoyable time in your beautifully decorated surroundings! Everything looks so serene and perfect for entertaining. Love your decorations. I need to hit the Dollar Stores before the 4th of July! This is really pretty! 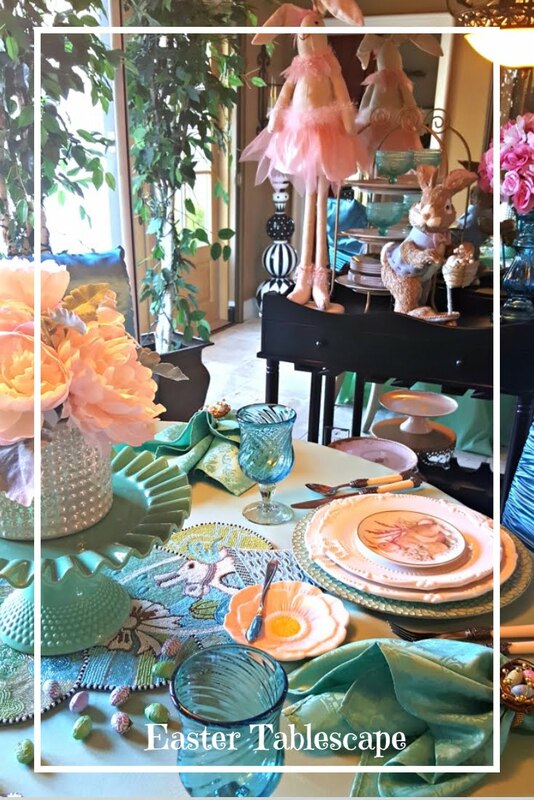 Beautiful table setting. The menu sounds delicious. And, you landscaping divine!! What a beautiful setting, Linda, during the day and especially at night. I love all your dollar store decorations. The menu sounds wonderful and I will need to make your trifle. It looks so patriotic, too. 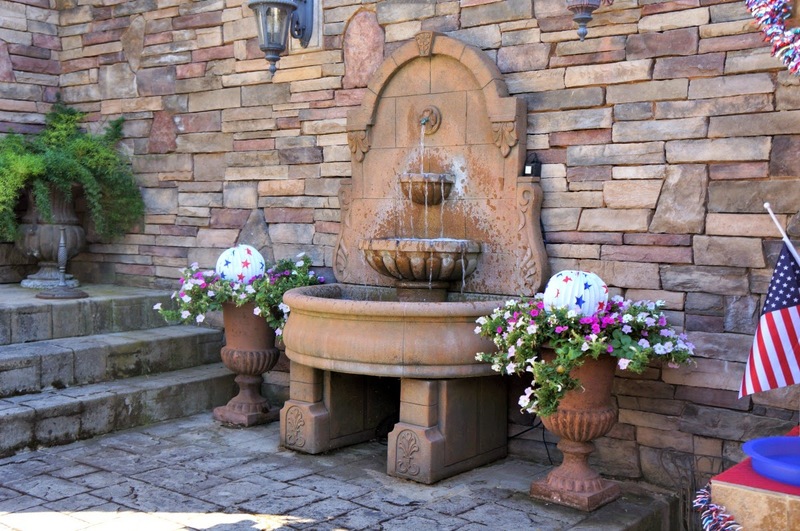 Gorgeous patios, love your fountain! Dish looks yummy too! Hope you are having a great week! 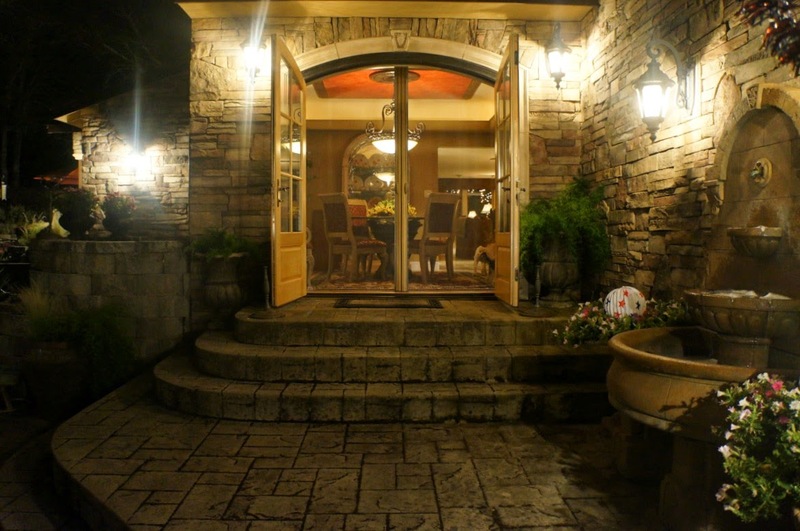 What a beautiful patio and a lovely party! I can imagine your guest had a grand time. Isn't the Dollar Store great? 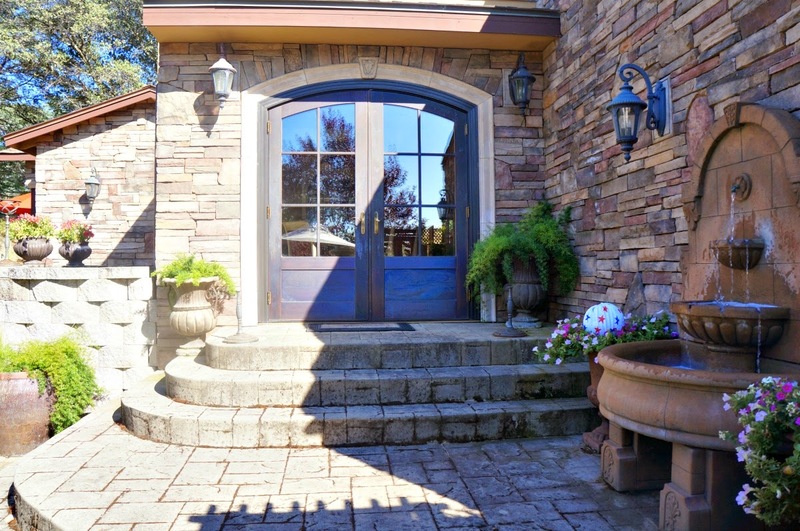 I love that photo of the open doors, up the steps from the patio and into your home - very nice. 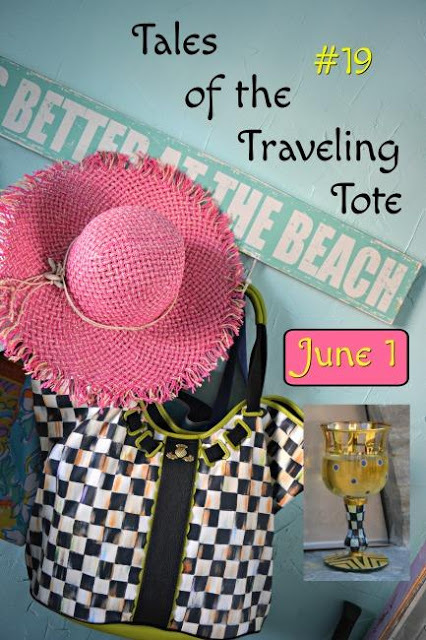 I ALWAYS enjoy visiting you here in Blogland!!! Everything is simply beautiful! 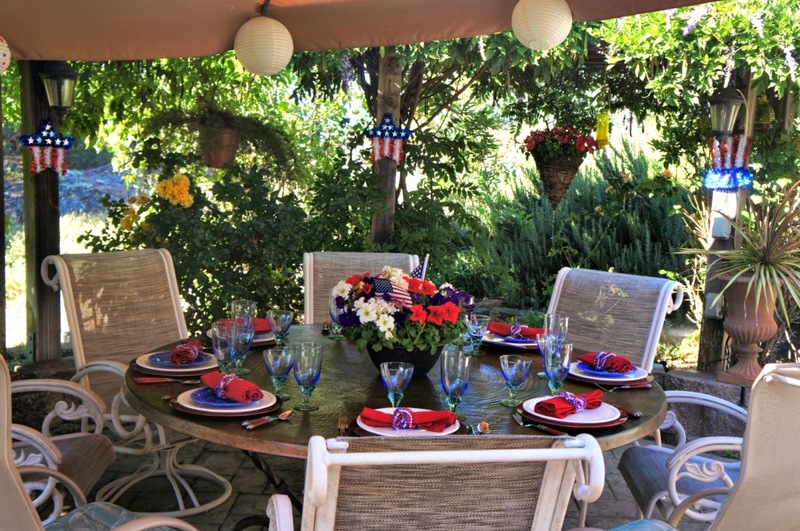 Hi Linda, What a wonderful outdoor setting for Memorial Day. I love your patio! !The decorations are perfect and isn't it amazing what we can find at the Dollar Store? What did we do before?? The food sounds so good and thank you for sharing the recipes. You are one talented lady my friend. You always create the most gorgeous settings! 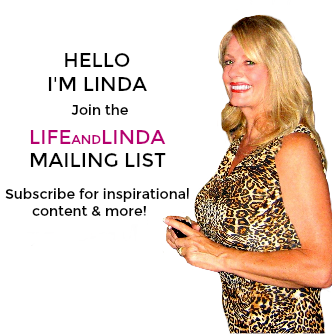 Dearest Linda! I am finally here! I see you came by to visit me today - thank you so much. I got notification of your new post here right after I got to work and was unable to come here via my tablet. YOUR GARDEN and French doors are my dream. I do have French doors overlooking my garden and everything is looking so great, but one thing I wish I did have that you have are the pavers. We have gravel, and it is very southern French, but our Minnesota climate makes for a lot of pine tree debris that is very hard or rather, virtually impossible to clean up. 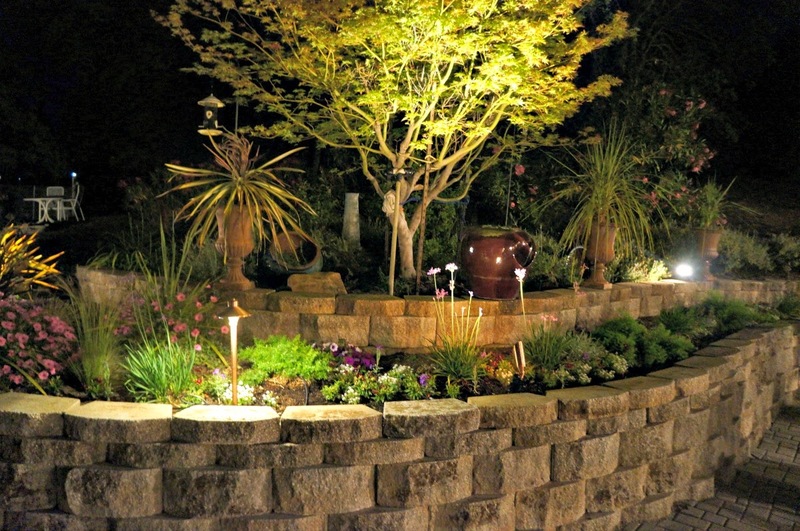 Your landscape is PERFECTION! 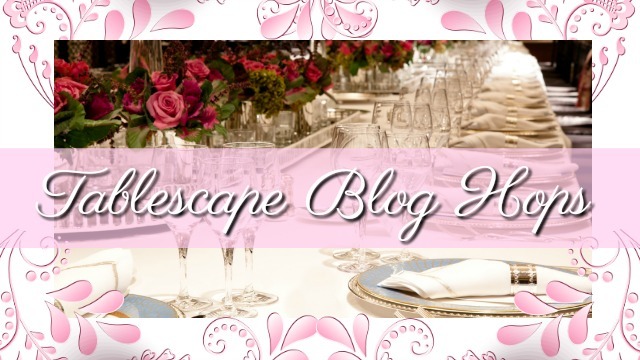 You are just wonderful with your themes and tablescapes! 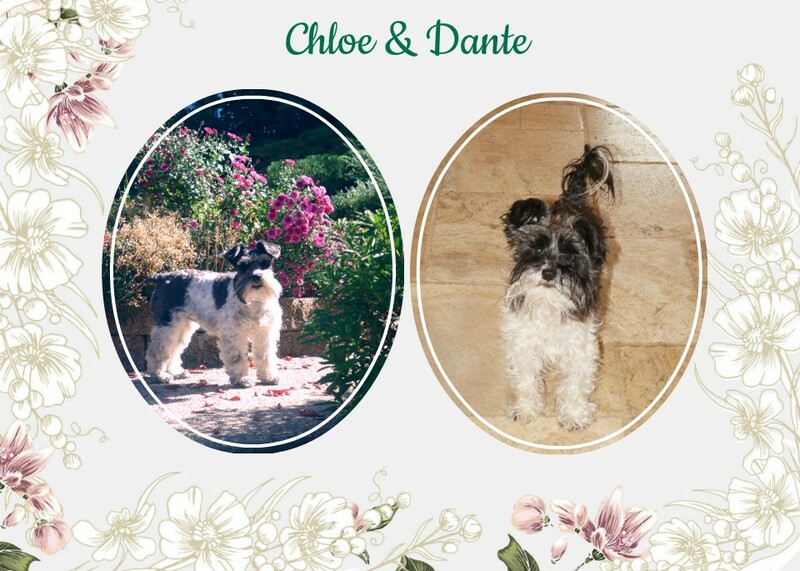 Your patio area is just so doggone pretty! I love it! I would love to have stonework all around like that. It's just so, so pretty! 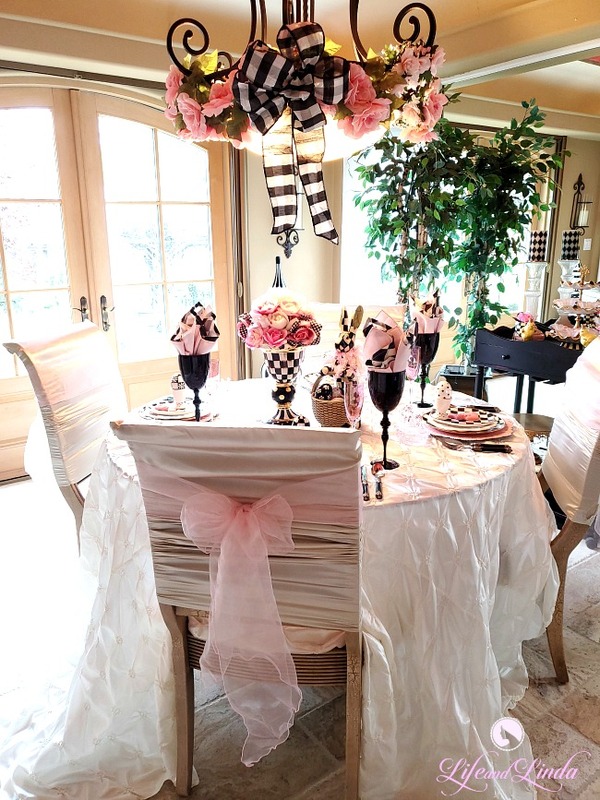 Your decor was fun to celebrate the day! You're so right...the dollar store is just a lifesaver! All those wonderful decorations, I have to get back to the dollar store more often. Your patio looks wonderful. Heading over to PIN your cheese steak and potato salad. 2 of my favorite's! 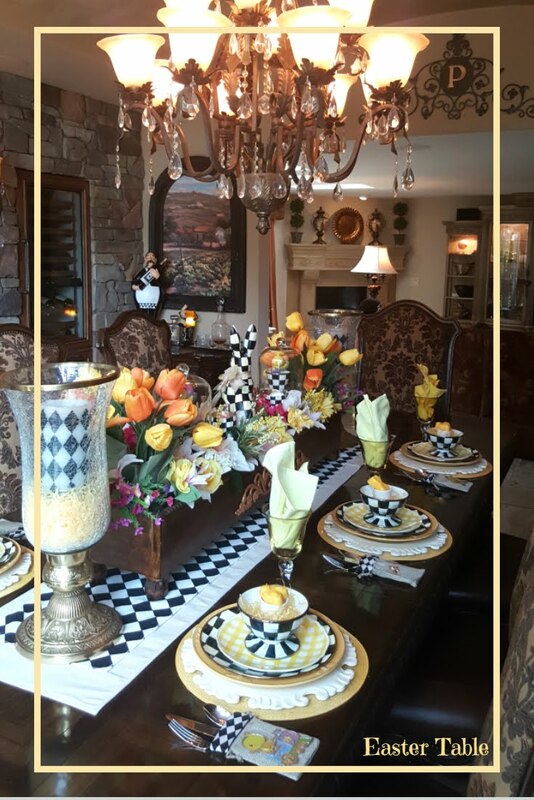 A wonderfully decorated party with such attention to detail with gorgeous food and served by such an engaging hostess. Oh Linda, it all looks SCRUMPTIOUS! The decorations AND the food! I will check out your recipes, the trifle sounds fabulous! 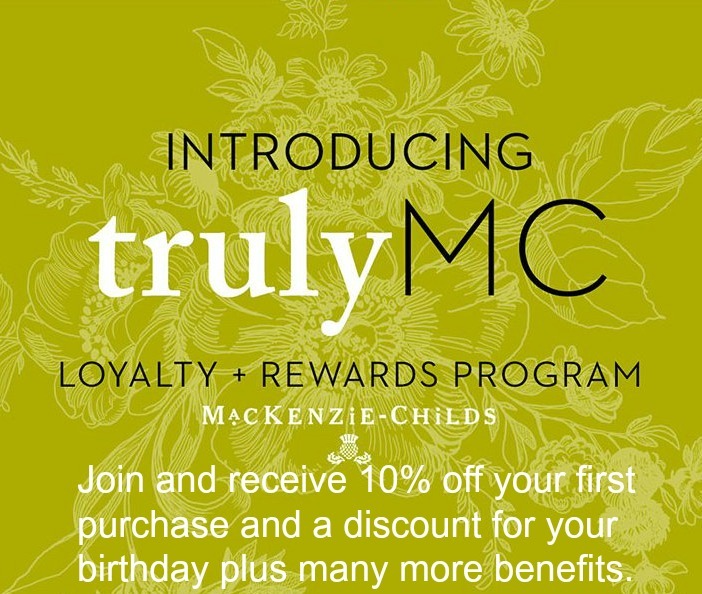 Thanks for sharing this with us!!! Sorry I am late in visiting!